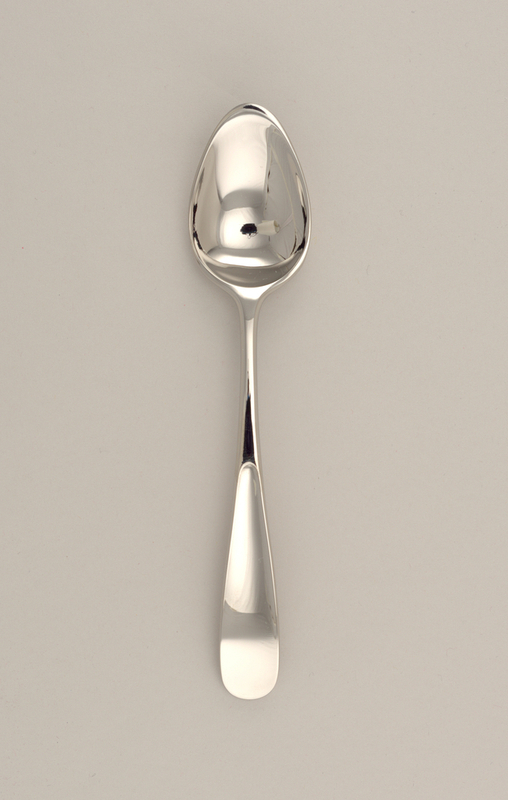 This is a Dessert spoon. It was manufactured by Georg Jensen Sølvsmedie and distributed by Royal Copenhagen Porcelain Manufactory. It is dated 1997 and we acquired it in 1998. Its medium is stainless steel. It is a part of the Product Design and Decorative Arts department.